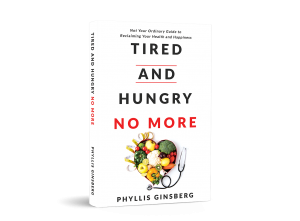 Tired and Hungry No More is now available on Amazon! Are you in chronic stress and overwhelm? Is your health suffering? In 2005, I was in near burnout in every area of my life. I was working 12-14 hours a day to keep up with the cases I was appointed to as an expert with a specialty in high conflict divorce. I was in chronic stress and overwhelmed, and it was taking a toll on my body. I came across the field of Positive Psychology (the study of happiness), and it changed my life. As a result, I shifted the focus of my practice, improved my health and wrote Brain Makeover – A Weekly Guide to a Happier, Healthier & More Abundant Life. With over 25 years of experience as a Marriage, Family Therapist, and expertise in Positive Psychology, Brain Research, and EFT Tapping, I have helped over 1,000 people just like you. Research shows that people who are happier are healthier. It doesn’t have to take a long time to see results. In fact, many people who attend events where I have spoken have come up to me after saying that they felt better. I want you to feel better and live the kind of life I know is possible. I’d like to invite you to experience better health and happiness. You too can go from surviving to thriving. While out speaking, I often get asked about working individually with me, and since there is only one of me, and I don’t ever want to get close to near burnout again, I created the Tapped In Community. People with stress-related symptoms of headaches, stomach/digestive problems, tension, pain, excess weight, a weak immune system, and difficulty sleeping, to name a few, are getting relief. When the source of the problem is addressed, stress can be reduced, allowing a shift toward well-being and better health. To learn more about the Tapped In Community click this link. If you are intrigued by what Phyllis Ginsberg can do for you sign up for a free “Feel Better” Relief Session.